As I'm sure most of you know, Teacher's Appreciation Week is this week! 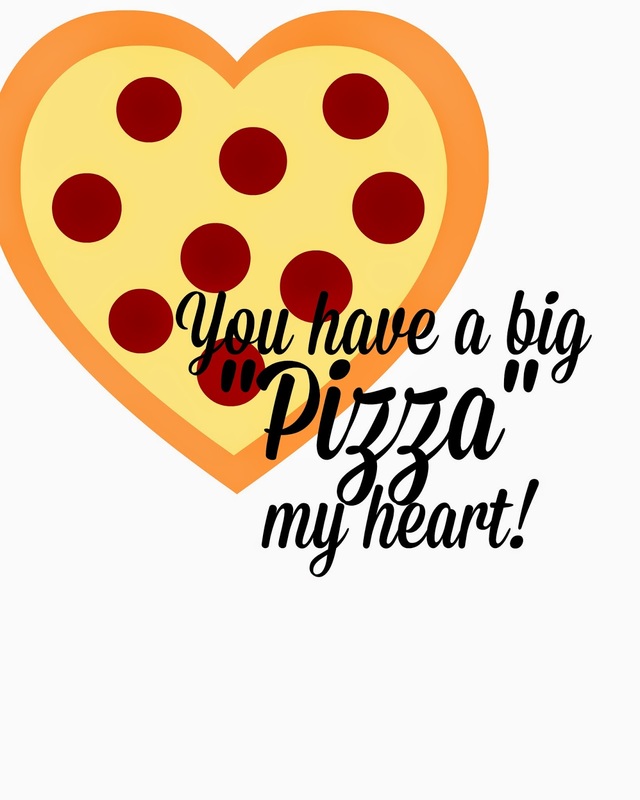 If not, now you do and you can totally use this free printable for a last minute gift tomorrow! I wanted to do something special for my little man's preschool teacher! She is such an amazing person and I wanted her to know how much we appreciate her. So I came up with this printable. I feel so clever that I thought up the saying although let's be honest, I'm sure somebody else thought of it before me. Nature of being being a craft blogger I guess! You think you made something up and somebody else beat ya to it! 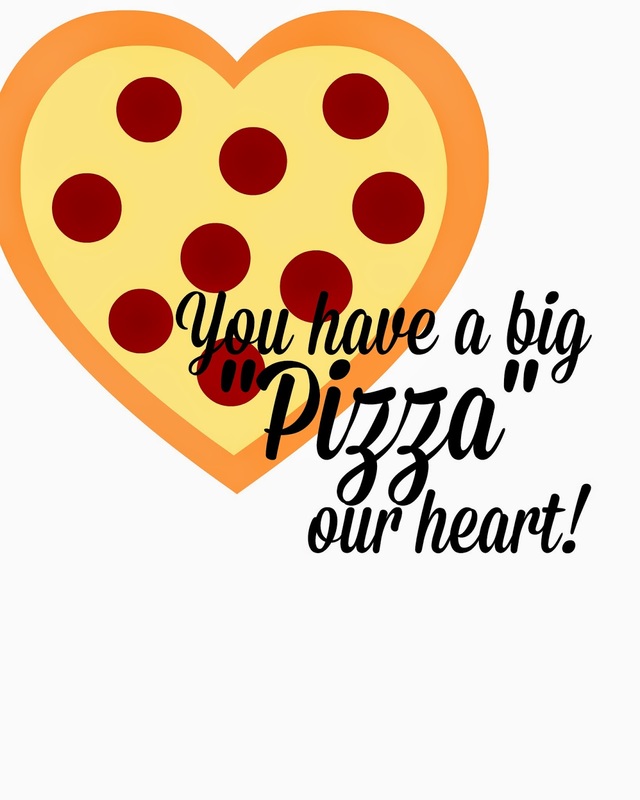 Just in case I am the first ;) Here's the free printable so that you can share it with somebody who has a big "Pizza" your heart! There is a MY version and an OUR version. Just right click on the image and click save image to save it to your computer! *Please remember all of my printables are for personal use only!